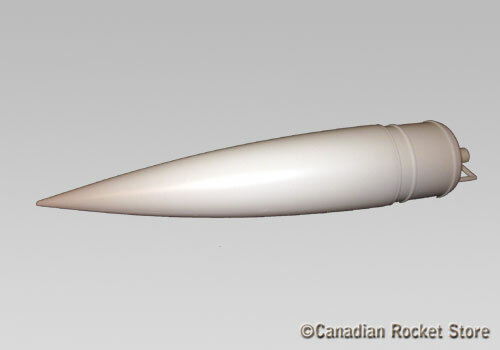 White Heavy Duty blow molded plastic 2 inch diameter ogive nose cone. Built-in shock cord attachment loop. This nose cone perfectly fits Phenolic and our 2.2" tubes. It does not fit BT-70 tubes.